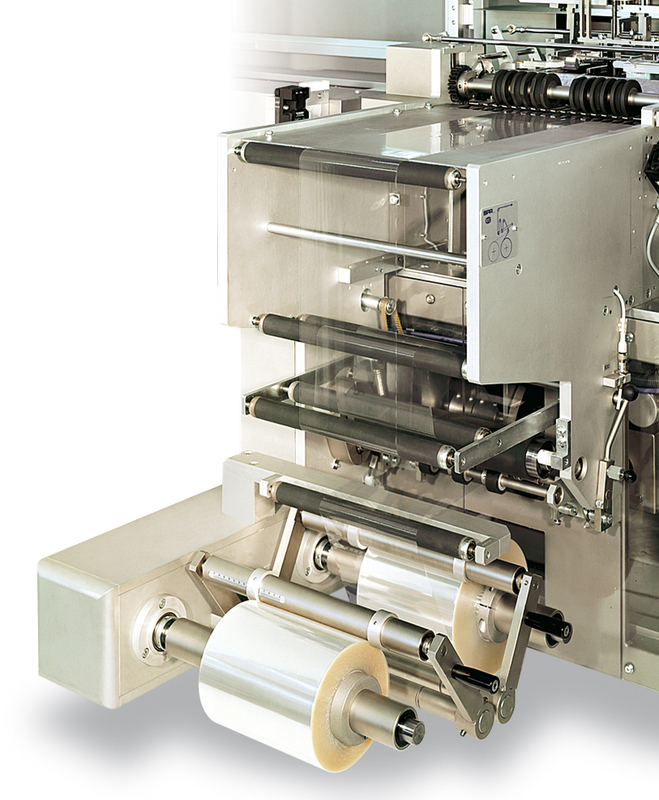 The CAM RVP automatic overwrapper, designed to reach high packaging speeds and aimed mainly at the cosmetic industry, is appreciated for its great overwrapping precision, ease of format changeover and reliable performance, even when using particularly fine wrapping film or film with low machinability. 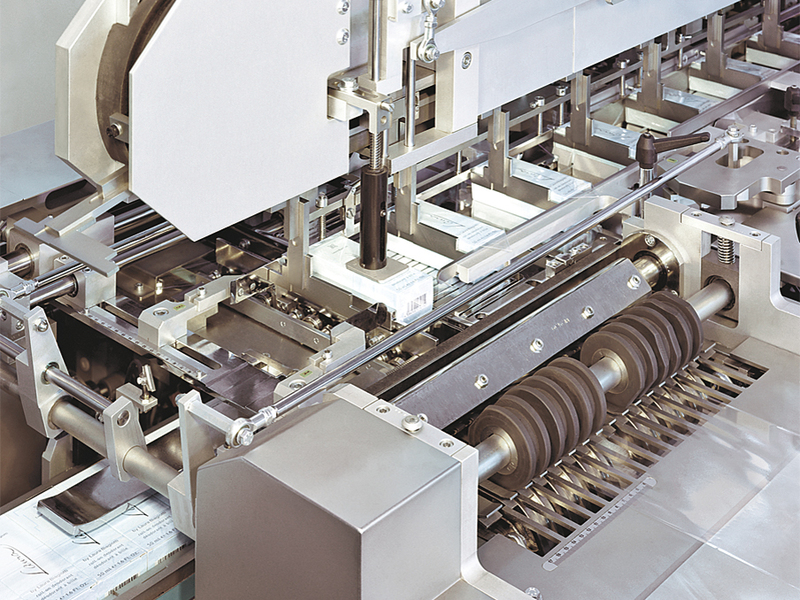 The products to overwrap are fed on a conveyor belt, activating a minimum load photocell that determines machine start/stoppage. 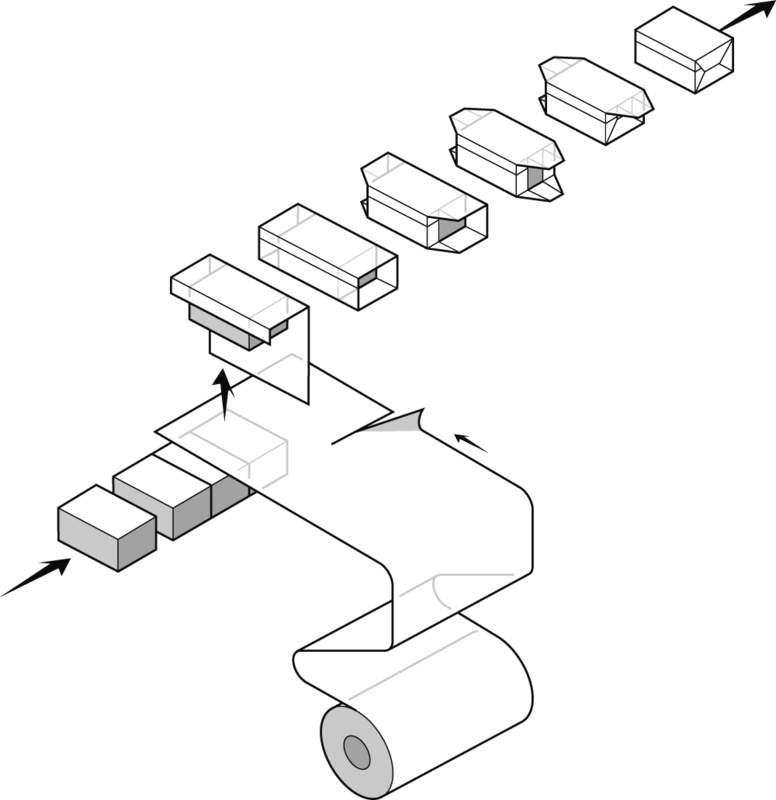 A considerably tight wrap with high film tension is guaranteed by: the patented system of film “accompanying” towards the cutting station, a counter-pusher holding the product still upon elevation, and accurate overwrapping unit design and transfer rake motion in sync with single pack feeding rate. 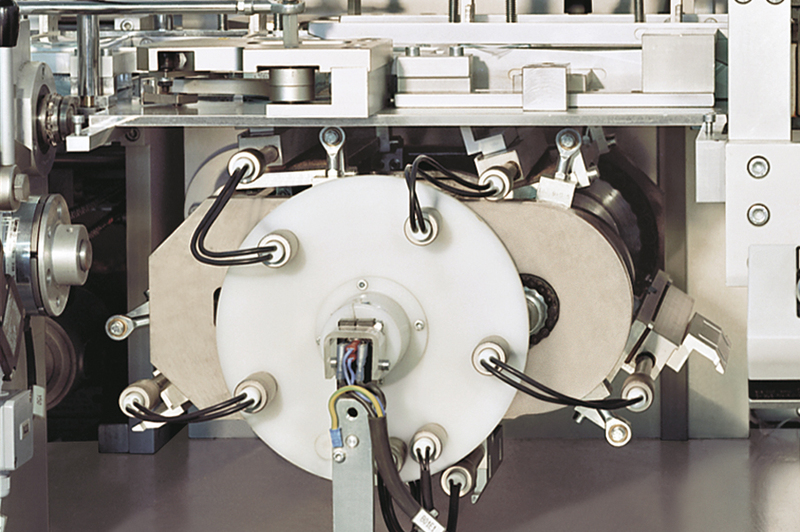 Thanks to its continuous motion, for both side and transverse sealing the time of contact between the sealing bar or point and product is longer than on the conventional intermittent motion machine. 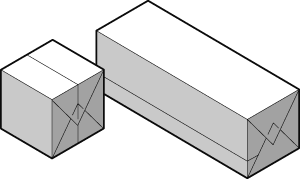 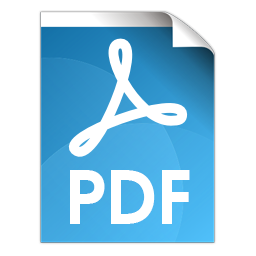 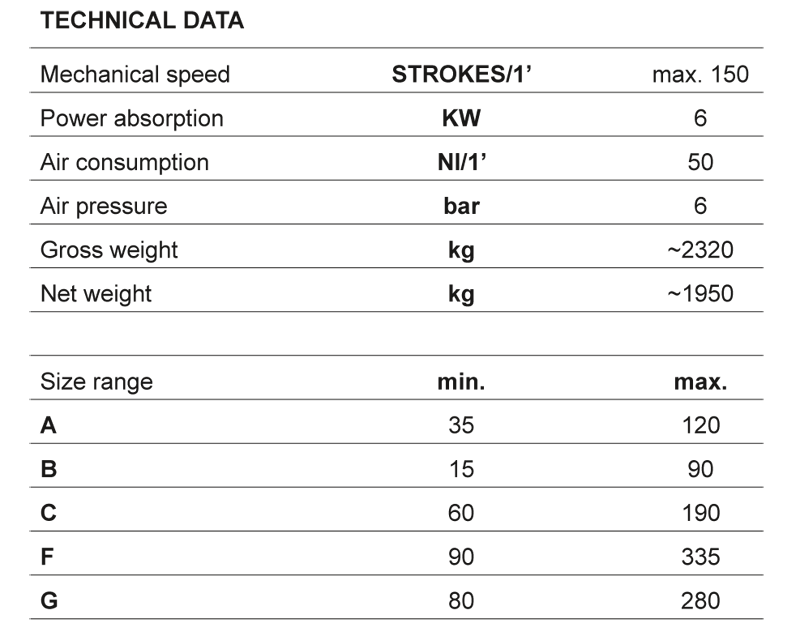 Transverse sealing can be carried out both on the bottom face of the product or even on the sides. 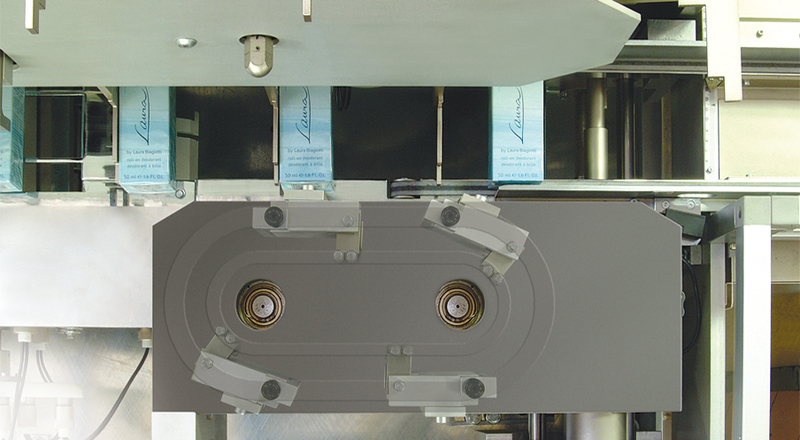 The RVP can be fitted with devices for micrometric adjustment - even with the machine in function - both of the film cut and for centering of the film on the pack: the operator can thus directly carry out on-spot adjustments that are often necessary throughout production, in order to provide for eventual dimensional discontinuities in products to be packaged. 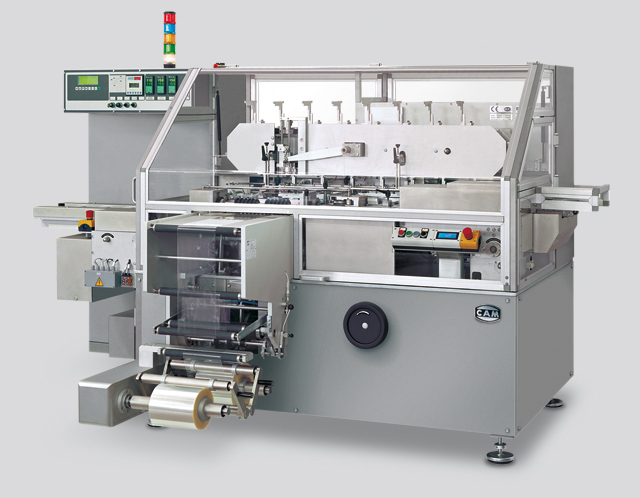 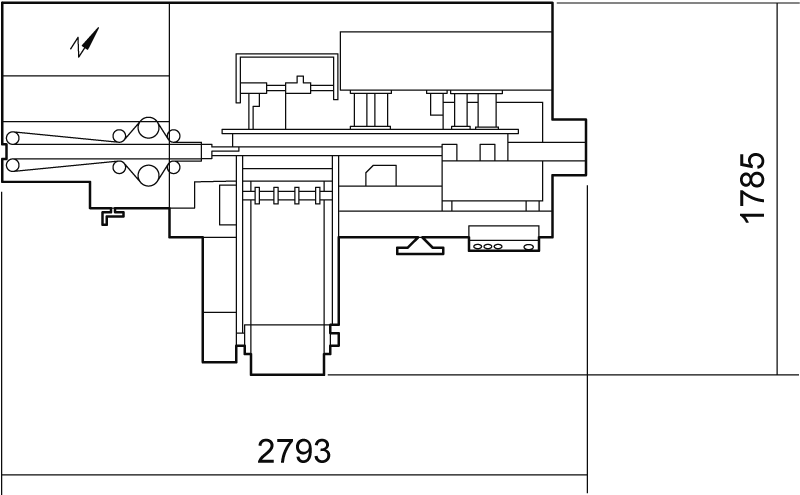 The RVP can also be fitted with the following optional devices: quick format changeover system, tear-tape application (for ease of pack opening), printer for variable production data, device for automatic splicing of wrapping material, and bypass for alternative conveying of products not to be wrapped.